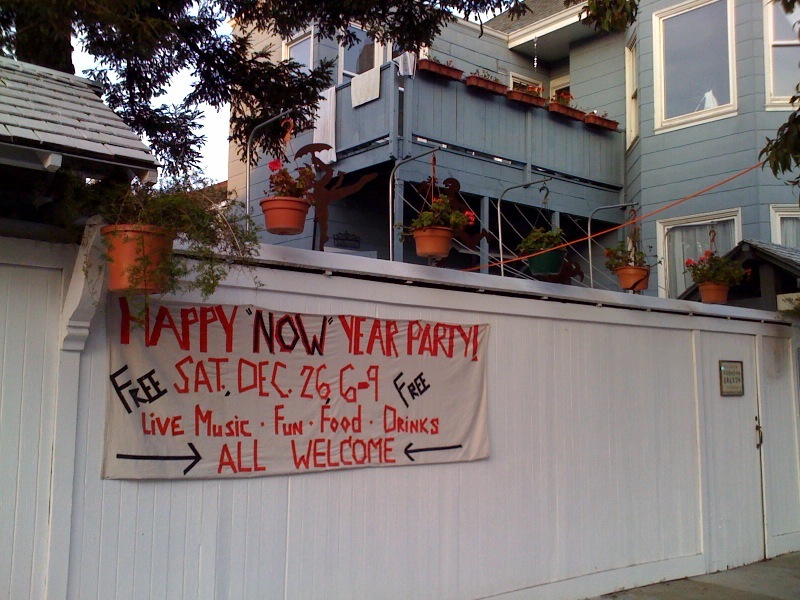 Free Annual “Happy NOW Year” Party at 6th and Irving December 26th! Next Saturday, the good people who own the House at Sixth And Irving (Formerly known as the “Yes We Can” house) will be having one of their awesome neighborhood parties, from 6-9pm. As always the cost is absolutely free, and there’ll be all sorts of good things: live music, food, drinks and of course, your friends and neighbors. For more information, contact Barbara at 246 4748 or Paul at 810 3776. Should be fun!